A big welcome to Faye Kennington of UkeeKnits and one of the moderators of the Indie Design Giftalong. This is the first in a series of interviews I’ll be doing to help you get to know some of the designers that are part of this incredible event. It focuses on helping knitters get their gift making done while also showcasing the incredible quality and range of designs from independent designers. The camaraderie! This is my 5thIndie Design Giftalong and I’ve made so many fun and excellent connections through this event. I love getting together online and chatting and sharing our projects. I really like the knitting of gifts, too. I’ve done quite a bit of stranded colourwork in 2017. I really find the “just one more row” addiction kicks in when knitting the samples; I love planning out the motifs, and I could play with colour combinations all day long. I set out to make stockings for my family of 3, and I got totally carried away. 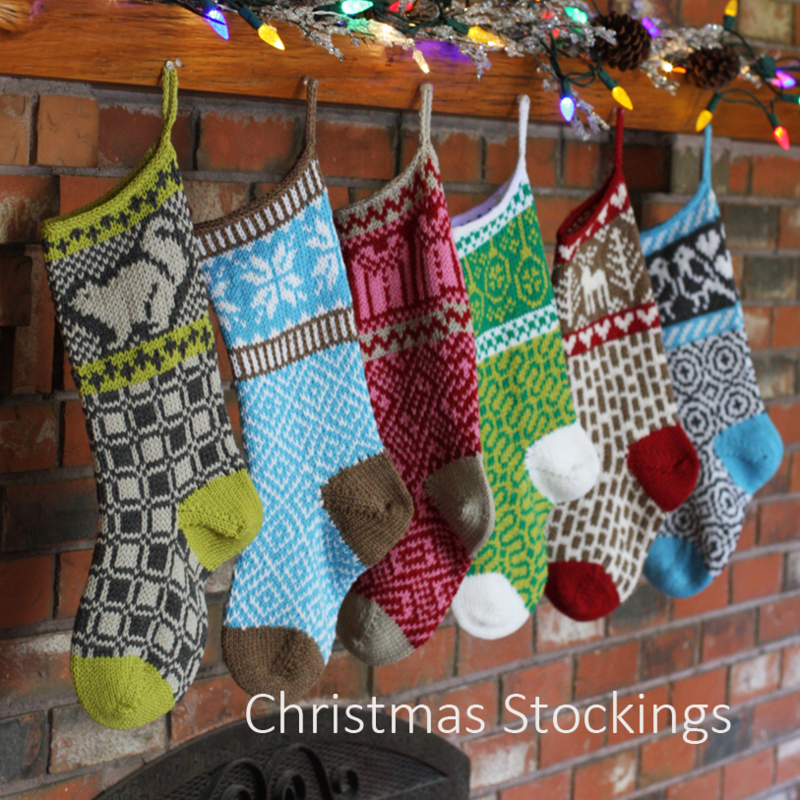 The resulting pattern, Christmas Stockings, has 24 motifs that can be mixed and matched to make more than 500 unique stockings. I’ve made a few stranded hats, too. 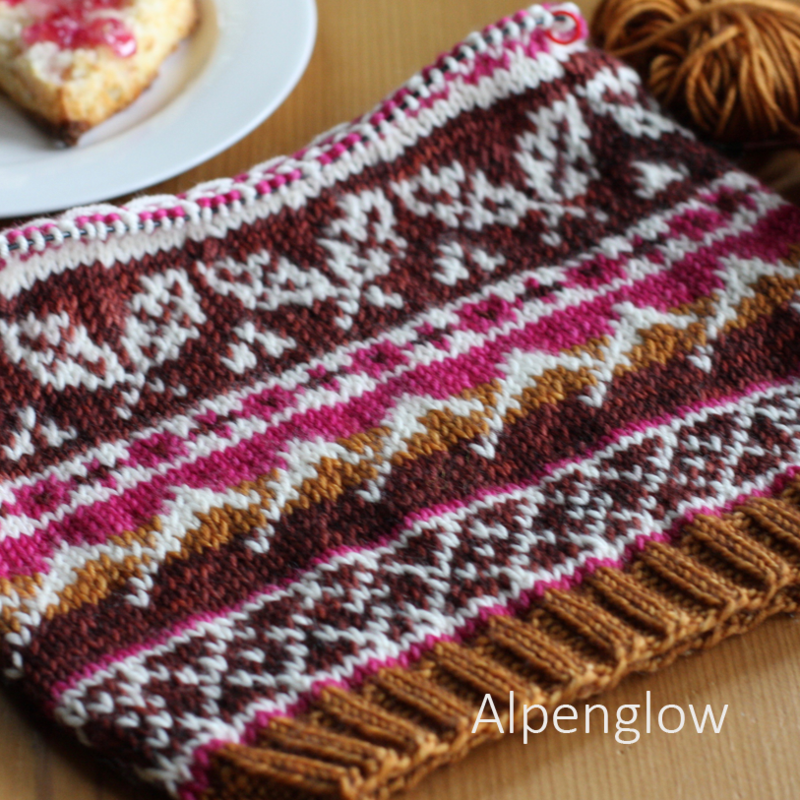 This summer, I was inspired by the sumptuous colours of indie-dyed Polka Dot Sheep Stumptown DK. The results are 2 hats, Alpenglow and Two Medicine, and a scarf, Pick Me Up. I like solving problems; working out how to make the stitches from the overall pattern. For example, my hat, Twin Peaks, has a unique cable that resembles a mountain range. I had the idea of the swooping angles and then went to work figuring out how to make it work. Sometimes it can take a long time to get to get it right. I first started working on a feather motif in 2014. 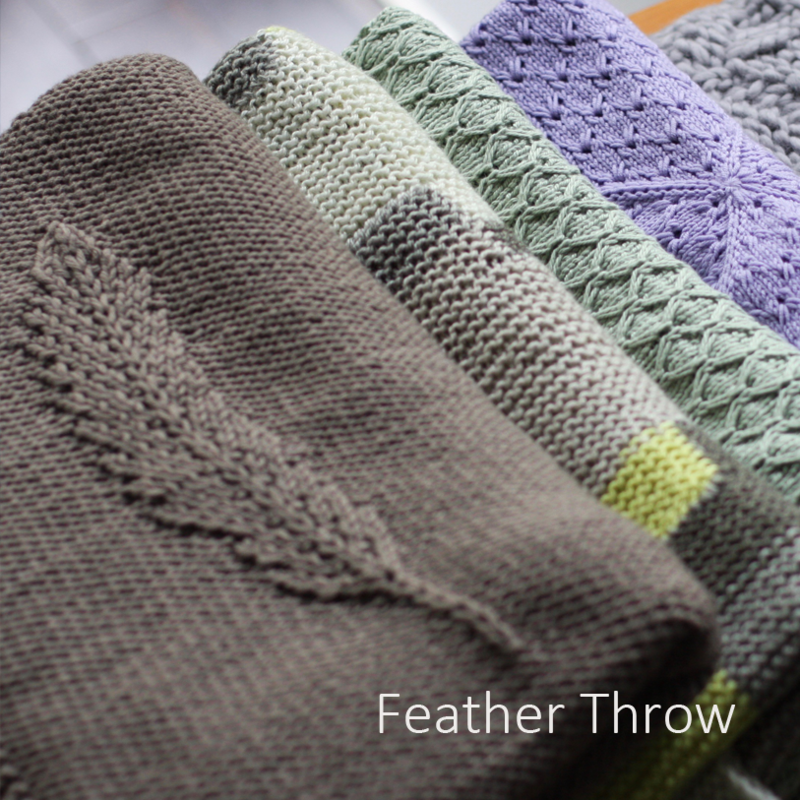 I published Aquila in 2015, but I don’t think I got the feather perfected, as it is in Feather Throw, until 2016. Absolutely. I live in a temperate rainforest, so thicker weight, naturally water resistant wool is ideal here. A lot of the local environmental features and wildlife appear in my designs too. One of my most humourous designs, Sasquatch! Combines practical west coast fibers and a local legend. I always knit 5-6 things for the Indie Design Giftalong. I usually try to make a few different things, but hats are always a good choice. Most people can make use of them and they work up pretty quickly. There are some pretty fun toys out there. I love Selina S’ (littlesplines) Stabby Cat. I would also like socks or mittens, because I personally don’t like making 2 of the same thing, but do I like having warm hands and feet.